The RTL design abstraction of Western Digital’s RISC-V SweRV core is now available at GitHub. The design is licensed under the Apache 2.0 license, which is a very permissive (and non-copyleft) license that allows the core to be used free of charge, with or without modifications, and without requiring any modifications to be released in-kind. In fact the requirements of the license are quite slim; besides requiring appropriate attribution, the only other notable restriction is that third party developers cannot use Western Digital’s brands to mark their work. 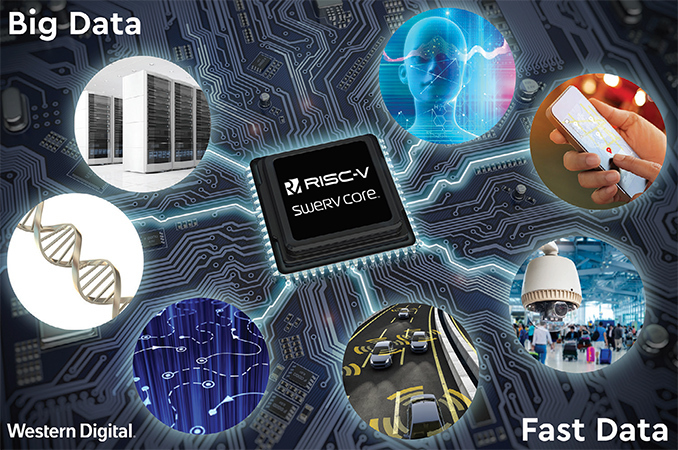 Western Digital’s RISC-V SweRV core is a 32-bit in-order core featuring a 2-way superscalar design and a nine-stage pipeline. 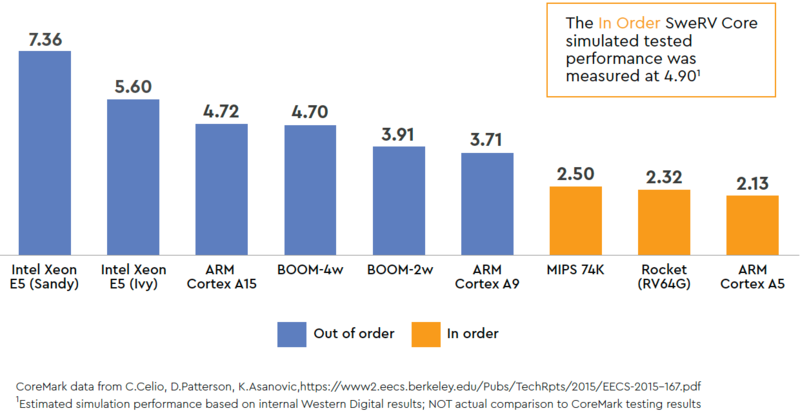 When implemented using a 28 nm process technology, the core runs at up to 1.8 GHz. Based on Western Digital’s simulations, the SweRV core delivers 4.9 CoreMark/MHz, which is a bit higher when compared to ARM’s Cortex-A15. The developer of the core plans to use its RISC-V cores for its own embedded designs, such as flash controllers and SSDs, but it is unclear when these chips are set to be available. Being one of the major supporters of RISC-V, Western Digital believes that by letting third-parties to use the core it will help to drive adoption of the RISC-V architecture by hardware and software designers. The latter will ensure that Western Digital’s own future designs will get a better support by software developers. I'm a little puzzled why the Xeon E5 (Sandy) has a higher score than the Xeon E5 (Ivy).